Ship to shore builds on introductory awareness activities. 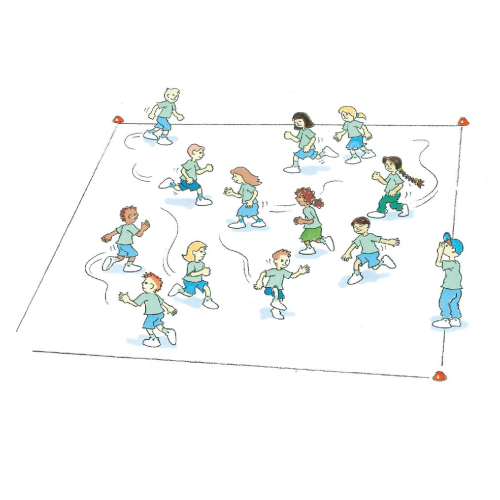 Depending on the call you make, players can practise a variety of locomotor skills. Players stand on the foul ball line. The other end line, between the 2 markers located in line with 2nd base is called ‘SHORE’. Coach calls out ‘SHIP’ or ‘SHORE’. Players sprint to the line called. Add ‘HIT THE DECK’. As soon as the coach calls this, all players must drop to the ground. Why do you think it is important to be able to change your direction quickly when playing a game of softball?